Cook something new! 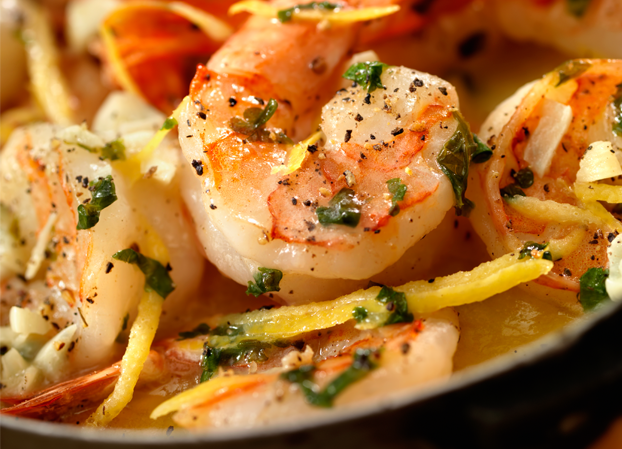 The Honey Garlic Shrimp Skillet's sauce tastes amazing. Garlic and caramelized honey with a hint of ginger thrown in is a win-win flavor. It's a very simple and quick dish to make, which makes it a perfect weeknight meal. 1. Combine the sauce ingredients and divide into half. 2. Marinate the shrimp with half of the sauce for 15-30 minutes. Discard marinade. 3. Over medium high heat, pan sear the shrimp on both sides in batches of 2 until browned, about 1 minute per side. 4. Using tongs, rub the shrimp into the caramelized bits on the bottom of the pan. 5. Dish and serve hot drizzled with the remaining sauce.